Civics lessons are boring I know, but sometimes a civics lesson is desperately needed especially in a contentious political season. And with the all-important midterm elections fast approaching, and with the midterms actually being a referendum on not only President Trump’s agenda and policies, but most importantly on the 2020 presidential election itself, a civics lesson might not be so boring after all. So let’s start this article with the fact that in today’s America without the Electoral College being kept in place the blue states of California, New York, New Jersey, Illinois, and Michigan would most likely be deciding each and every presidential election. Thankfully our Founders and Framers had the foresight to look towards the future and realize that population strongholds… especially those with a decidedly biased political party leaning… must never be the determining factor in the outcome of any given presidential election. These wise men understood that to serve the needs of the entire country presidential candidates needed to build both campaign platforms and agendas with a national focus in mind, and so it was decided that all citizens no matter where in our country they might live must be part of a leveled playing field when casting their vote. This realization of what is actually “voter equality” is basically what led our Founders and Framers to create the Electoral College. In fact, during the debates over the Constitution’s framework, Alexander Hamilton was one of the first to support the concept of an Electoral College with his saying that electors would bring “greater wisdom” to presidential selection as these men would be “most capable of analyzing the qualities adapted to the station and acting under circumstances favorable to deliberation, and to a judicious combination of all the reasons and inducements which were proper to govern their choice,” while other of the Constitution’s Framers viewed the Electoral College as the definitive protection of state power. Simply stated, each individual state sends electors of their choosing to the Electoral College with each state having one elector for each Representative and one for each Senator with Washington DC allowed three electors as established by the Twenty-Third Amendment. Today that choosing is usually done by the major political parties nominating electors at their state conventions or sometimes choosing them by a vote of the party’s central committee. 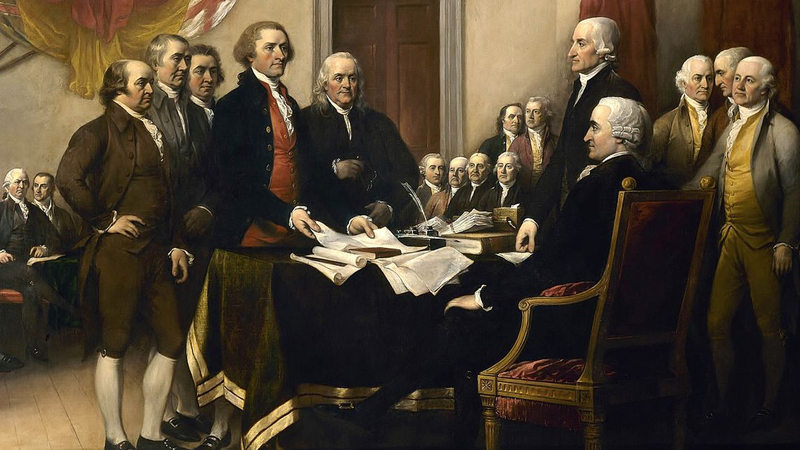 And our Founders and Framers hoped that those chosen would cast their vote to stop the election of any candidate they felt would have “threatened to centralize power in the federal government” and thus take power away from the states as this would then be something that would go against the very concept of our newly formed republic. Remember always that our country was set up to be a republic and not a democracy…which you can read about in my recent article Republic v. Democracy…America v. Mob Rule…meaning that the Electoral College was needed to help assure that our country remain a republic. And so our Constitution’s actual Framers created the Electoral College as a compromise between electing the president via a Congressional vote or via the “popular vote” as they instead wisely decided to equalize the interests of both the high and low population states, thus making each state and each vote equal to the other when it comes to voting for president. And in 1788, Article II of the Constitution…which also established the executive branch…was put into place. And Article II has been amended three times via the Twelfth, Fourteenth, and Twenty-Third Amendments…on June 15, 1804; in July of 1868; and on March 29, 1961 respectively. Now having put into place a system where the (what is today 538) members of what was to be called the Electoral College would be the ones to determine a presidential election’s final winner and loser, our Founders and Framers officially cast aside the idea of a so-called “popular vote” ever determining presidential elections…voting numbers that today would usually equate to the five aforementioned Democrat dominated states. And know that in the era of modern day politics it’s only been the Democrat party…the party that constantly loves to talk about equality…who wants to do away with the Electoral College and its call for voting equality as they simply cannot deal with the fact that they had to lick their wounds not only with Bush v. Gore in 2000 but had to do so again in 2016 with Donald Trump trouncing Hillary Clinton in that all-important Electoral College vote. So the Electoral College has now become to the Democrats part of the enemy front…the other part being Republicans and Conservatives in general…that denied them their ability to give Barack HUSSEIN Obama via Hillary Clinton his third term in office and hence it must be done away with. But whether the Democrats like it or not the Constitution is still the law of our land, and as per the Constitution the person who receives the most electoral votes (today that number is 270) becomes the next president even if they do not receive a “plurality” (the total number of votes cast for a given candidate who receives more than any other candidate but who does not receive an absolute 51% majority) or an absolute “majority” of the “popular vote.” This is exactly what happened with Richard M. Nixon in 1968 and Billy-Boy Clinton in 1992, when both men won the most electoral votes while receiving just 43% of the popular vote. Simply, Donald J. Trump received 304 Electoral College votes and 46.09% of the “popular vote” (62,984,825 votes), and Hillary Clinton received 227 Electoral College votes and 48.18% of the “popular vote” (65,853,516 votes), that is if you count the illegal vote, the dead vote, and those who voted more than once. 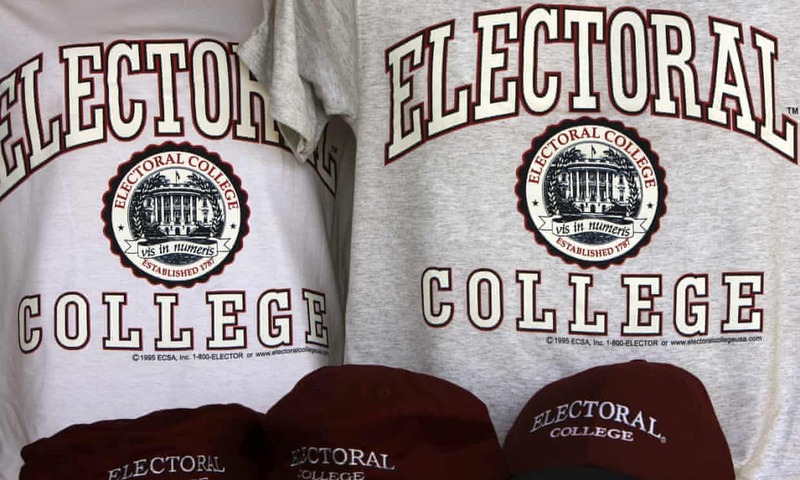 But seriously, abandoning the Electoral College in favor of someone winning the presidency with only a “plurality” of the “popular vote” would see a cacophony of fringe candidates entering the race solely to deny major party candidates, whose agenda they do not agree with, from being elected…or worse…doing so in the hope that they themselves could drive such a deep wedge between the major party voters…after all what are they but spoilers…that they would gain for themselves a “plurality” even if it’s only by one vote. However, they don’t, and it’s only because Donald Trump will probably win reelection if the Electoral College is kept in place. But if it was replaced with a national “popular vote” the Democrats surmise that a Democrat candidate would stand a much better chance of becoming president especially with Democrats currently outnumbering Republicans by 12 million registered voters…with 40% being Democrat, 29% being Republican, and 28% being Independent. And dare we not forget that the aforementioned illegals most assuredly vote Democratic…freebies and handouts are truly a big lure after all. End of yet another important civics lesson…boring I know but oh so critical at this juncture in time especially with 2020 drawing ever so near. For more political commentary please visit my RIGHT SIDE PATRIOTS partner Craig Andresen’s blog The National Patriot to read his latest article Elizabeth Warren…A 100% Real, Genuine Fake Indian. 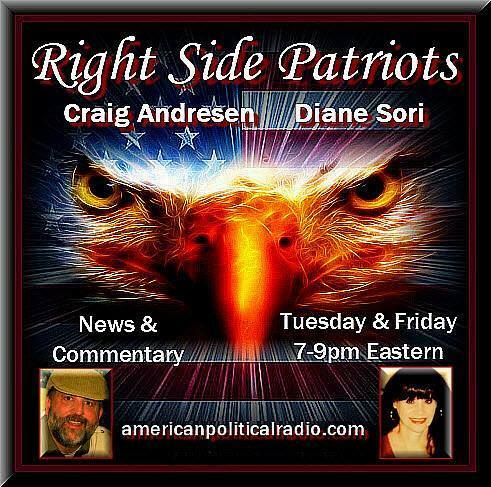 Today, Tuesday, October 23rd from 7 to 9pm EST on American Political Radio, RIGHT SIDE PATRIOTS Craig Andresen and Diane Sori discuss ‘The Electoral College: The Vote Equalizer v. Mob Rule’: ‘Elizabeth Warren…A 100% Real, Genuine Fake Indian’; and important news of the day. Previous articleWant To Buy A Bridge? Next articleDoes America really want Socialism?